I have an ear groper - she's nearly 6 and still ear gropes when she's tired! So cute. 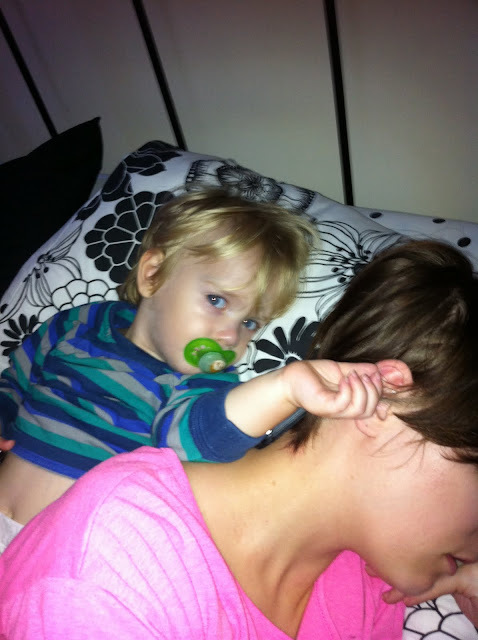 I remember my youngest brother had to play with someone's ear to go to sleep when he was a bub. that is so cute, but probs not for you! it's the time of the year for a good snuggle. My older one only does this to his own ears. And his brothers ear. Too cute! And kinda annoying! Haha! Hahaha I have a baby ear groper too, she loves it! I'm amazed at how many more ear gropers there are out there. Munchkin is a massive ear groper. It can be so annoying but now I'm used to it I don't even realise. I think he has my extra sensory needs hence the ear groping. Cute pic. Though it looks like it could get very painful very quickly!